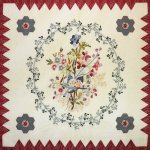 The Sarah Simms 1816 quilt is owned by my dear friend Dawn Licker. 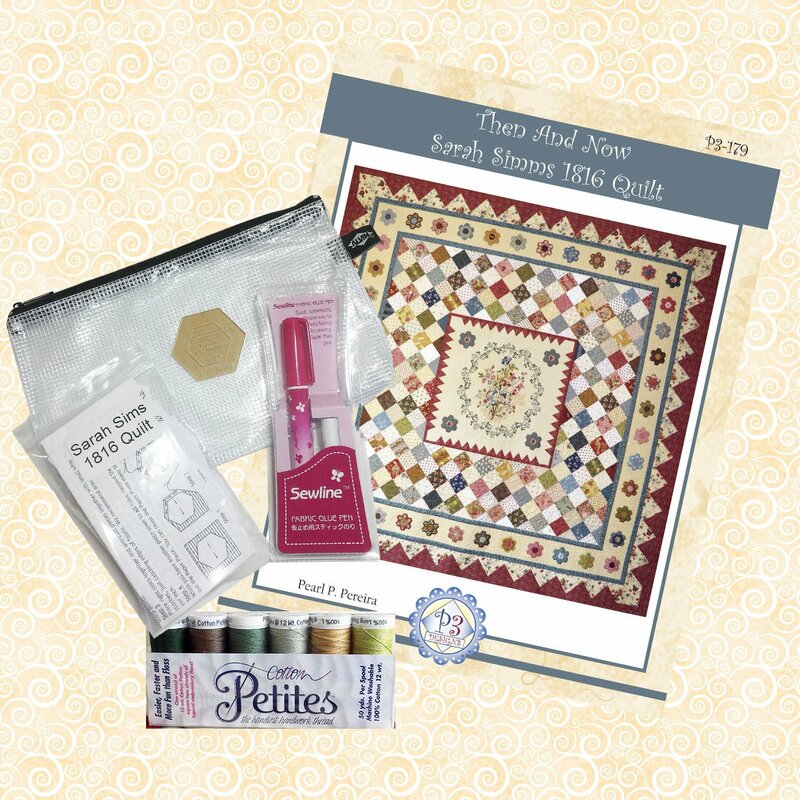 We have talked over the years about reproducing some of her antique quilts in her collection as patterns. This quilt just seemed to speak to me even though the rest of the quilt was not very exciting. Sarah Simms embroidered 1816 date with one strand of thread at the bottom of the medallion. The Crewel embroidery was done with wool threads which I believe have faded over the years. The embroidered center medallion was framed with uneven sawtooth inner border and hexagons in the corners. It was framed with 4 1/2” blocks, 20“ rectangles to make a wide border. But the center of this quilt was my inspiration and I set the block on point and added hexagon a border and repeated the sawtooth border to frame the quilt. 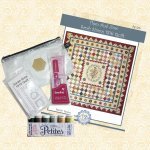 The pattern contains two full color 22” x 34” pattern sheets with full size drawing’s for the center embroidery medallion, a color embroidery stitch guide and easy to follow instructions.